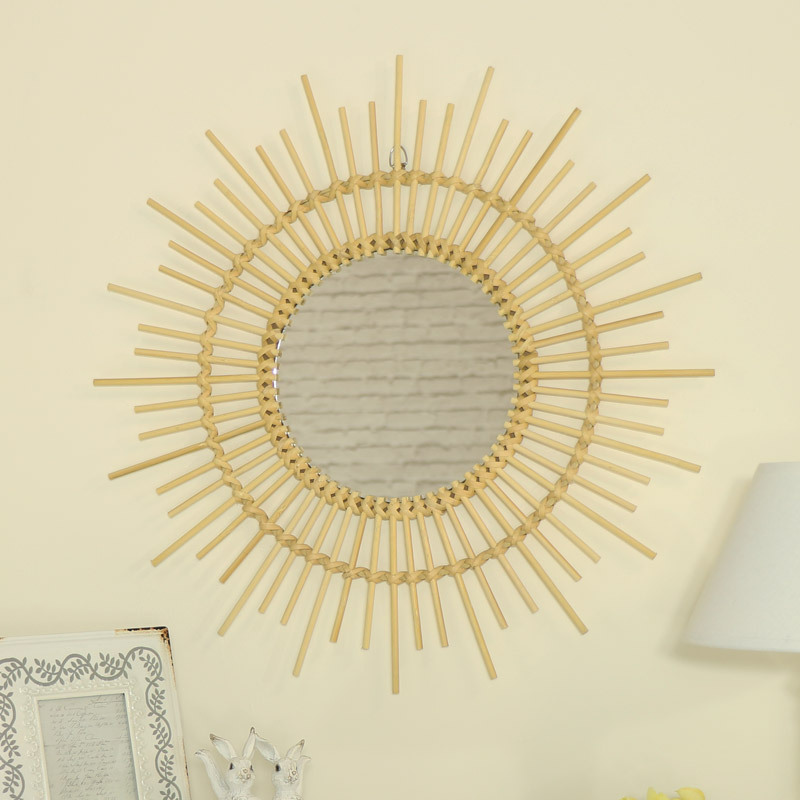 Pretty wall mirror with round spiked sunburst style rattan frame. Rustic with hints of a boho style, this is perfect for displaying in the living room or hallway. Sunburst style frame, in a natural rattan, surrounds the mirror centre to create a stunning effect. This mirror gives a natural, relaxed look and will be perfect for many interior decors. Pretty wall mirror with round spiked sunburst style rattan frame. Rustic with hints of a boho style, this is perfect for displaying in the living room or hallway. Sunburst style frame, in a natural rattan, surrounds the mirror centre to create a stunning effect. This mirror gives a natural, relaxed look and will be perfect for many interior decors. 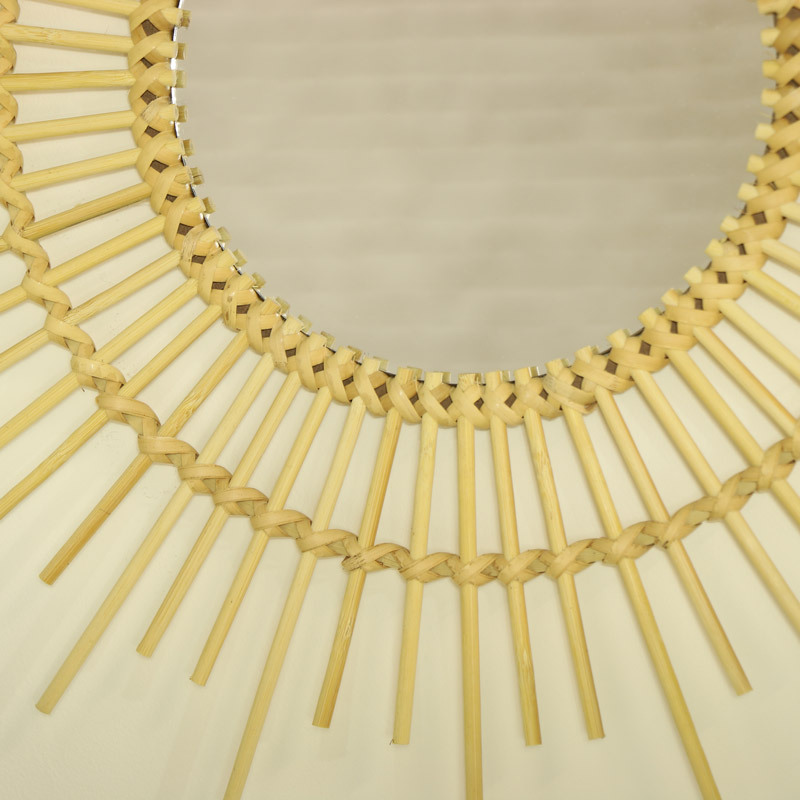 Constructed with a light rattan frame. The mirror is easily wall mounted with a hook on the back for hanging. We have the best selection of gifts and home accessories for you to choose from.